All the engines on the Construction team must work together to get the job done. This Construction 2 pack features classic characters George and Thomas that can all be found working together to be Really Useful Engines. 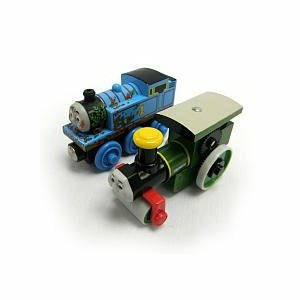 Add this classic Construction 2 pack to any Thomas and Friends collection.